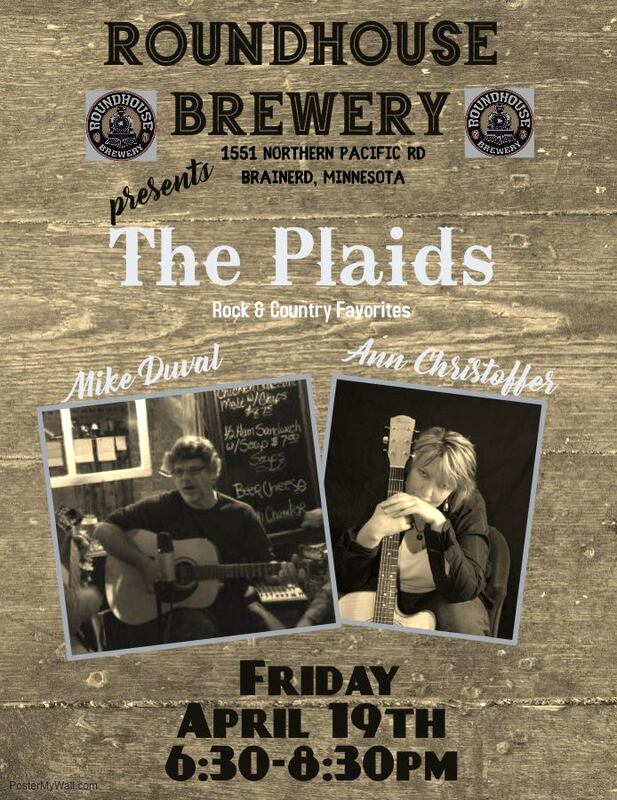 Mike Duval and Ann Christoffer are “The Plaids” acoustic duo bringing you rock and country favorites. Popular music of Janis Joplin, Mellissa Etheridge, Bob Dylan, The Eagles, Jefferson Airplane, Tom petty, 4 Non Blonds and more! grab a beer, sing-a-long and have some foot stomping fun with us! Show starts at 6:30- See you there!